One of the reasons to come to Italy is, of course, GELATO! And more than any other place you should come to Florence if you want to taste the real one! Gelato was in fact invented here by an illustrious Florentine, Bernardo Buontalenti (1521-1608). Besides being the architect of many Florentine buildings, Medici villas, gardens and grottoes, he embodied a mix of different professional figures that today we could summarize as a mix of: wedding planner, event organizer, special effects manager, sculptor, painter, artist. Famous for his fireworks, sugar and ice sculptures, water plays and fountains he was able to impress and amaze guests from every European courts. 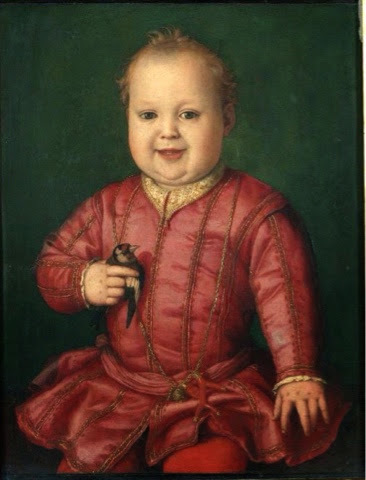 It was for one of these special occasions, the visit of the Spanish ambassadors to Florence, that the Medici asked Bernardo to invent something for the banquet and make them remain with their mouths open. Sorbet already existed, so the genius mind of Buontalenti invented a way to make it creamier and smoother with a mix of eggs, honey, milk, and a bit of liquor which combined with the freshness of the ice was immediately a success that would have lasted until nowadays: the famous traditional Florentine gelato flavour Buontalenti. Today, only one gelateria in Florence "Badiani" has the copyright for this old gelato recipe. After this important historical excursus, gelato in Florence is everywhere. How to get oriented amongst the many "gelaterie" which appeal our sight and our taste along the Florentine streets and alleys? I hope you will accept some good advices from a "local" to decide whether you are in front of a good gelateria or if it's just a tourist trap. 1. The Gelateria must have a laboratory on the same spot of the sale shop. This that tells you that gelato is made ther fresh every day and not imported from "whoknowswhere". 2. There must not be "mountains of gelato" . This is absolutely a fake image of this wonderful product and means that those mountains are made adding old gelato of the previous day on top of the new one (or viceversa). Moreover, it is impossible to sell all that gelato just in one day. These mountains are made only to impress and attract people. 3. Color of gelato must not be too bright. For example pistacho must be olive green, sometimes close to light brown. If colors are too strong this means that they add color to gelato and they do not use fresh ingredients. 4. Cleaness of the shop as well of the clothes of the clerks who must all wear a hat. 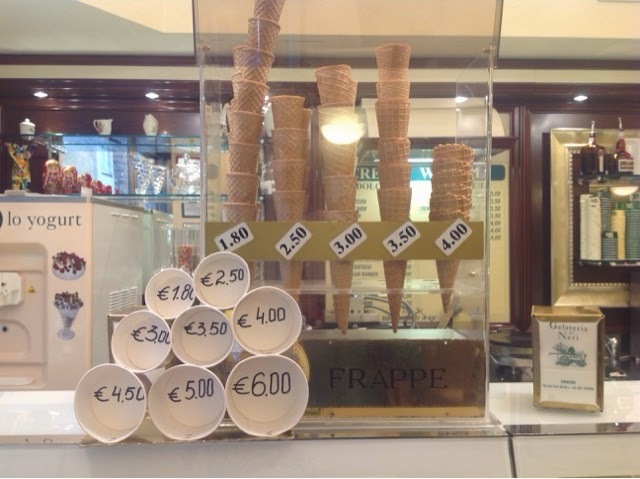 The person managing money should be possibly different from the one serving gelato. 6. 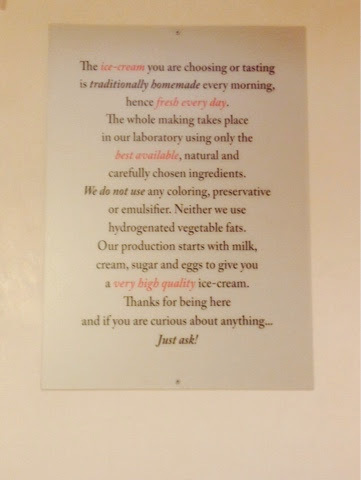 The list of the ingredients must be always well visible and the gelateria should show a sign indicating where the ingredients come from, if they are organic, or local ingredients DOP etc. Vivoli, via Isola delle Stinche (area S. Croce): this was where my grandma brought me when I was a child, so given my age, this is an historical institution! 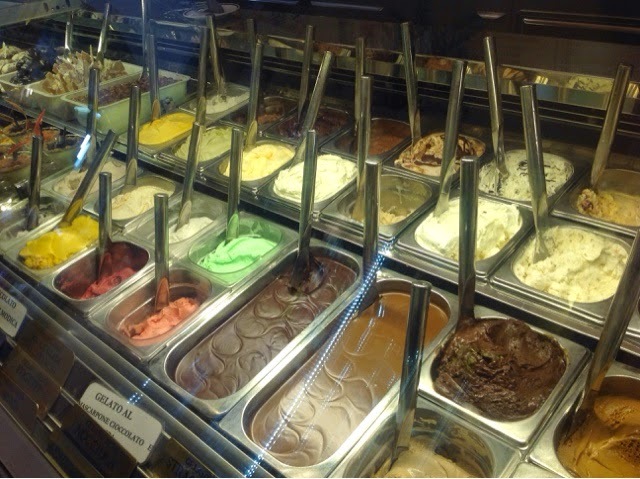 Here you'll find the gelato made in the traditional way, with fresh ingredients. You'll find only cups, no cones! Perchė no, via dei Tavolini 19r (side street between the Duomo and Piazza Signoria) all fresh ingredients, and gelato is home made every day. Gelateria della Passera, Piazza della Passera (Oltrarno, side street between the Ponte Vecchio and Palazzo Pitti). Few seasonal flavour, nice setting excellent quality and ingredients. Gelateria dei Neri, via dei Neri (between Uffizi and Santa Croce). A great selection of flavours, for milk intolerance you have a choice of soy flavors. The portrait of the Duke and the Duchess of Urbin is one of the most famous paintings of the history of art. The dyptich arrived in Florence in 1631 with the inheritance of Vittoria della Rovere, wife of Ferdinando II dei Medici and last descendant of her dinasty, she brought to Florence (anf to the Medici) all the masterpieces that the Della Rovere family collected until then. 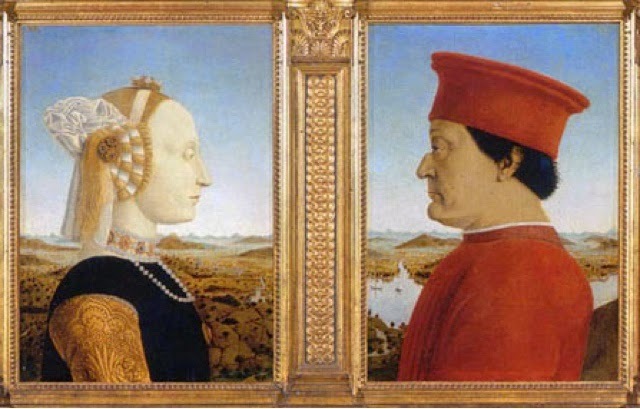 The painting, oil on a wooden panel, represents Federico da Montefeltro and his wife Battista Sforza, the ruling couple of the city of Urbin, in Umbria in the second half of 1400. Often associated with the IDEA itself of Renaissance, this portrait celebrates the human being as the main subject of its time. 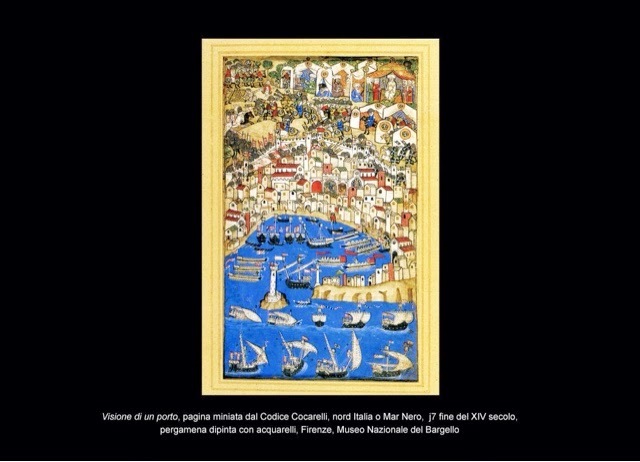 Federico was that kind of man under several aspects, he could gather around his court the most famous artists of the XV century and he was able to transform Urbin in a cultural and artistic capital. The couple is portrayed in a perfect profile, a reference to the classical portrait medals which gives an ancient solemnity to the two Dukes. For Federico, choosing the representation in profile was a forced choice. In fact, the Duke lost his right eye during a tournament and for this reason only the left side of his face is portrayed. His nose was also broken in that accident and caused the famous aquiline shape which gives his face a unique personality. The portrait is characterized by the extreme naturalistic effects: his olive imperfect skin is covered by a network of wrinkles, the awkward nose which is not at all idealized, all these elements contribute to give a real, earthly image of the Duke. He is wearing the red dress symbol of his ducal rank. The cylindrical hat with a bright red stands out against the blue sky background, a detail of seamless geometry that gives the composition a strong sense of abstraction, as if he was designed on a different plan than that of the background, nearer to the viewer. The pose is straight, the look is determined, but also transmits the benevolence of the Duke of Urbin. The color red is preponderant on the painting and the background reminds the typical Flemish landscape. 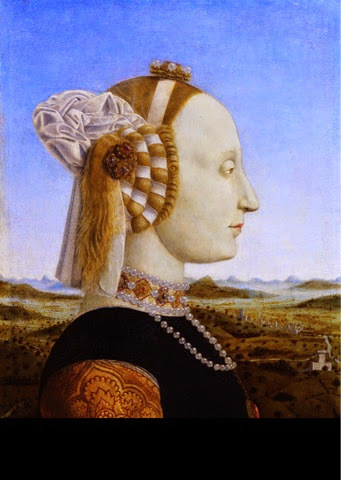 On the left side of the Federico's wife, the Duchess Battista Sforza is also painted as a profile so that the two are boldly looking to each other. The extremely pale face of the Duchess with an exaggerated high forehead (symbol of aristocracy in those times) is framed by a richly decorated hairstyle where a precious jewel emerges in the center of her head and a light white veil blows in delicate and complex folds. Everything communicates richness and power as the fabric of her dress' sleeve made of silk brocade (this is not a tatoo as many people ask me...!) and the pearls around her neck. Originally the two portraits were linked by two hinges, so that could be closed like a book. 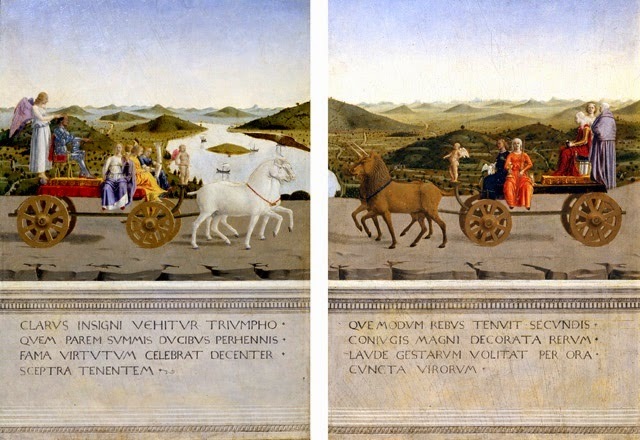 On the back of what is now a painting, Federico da Montefeltro and his wife are shown in their "Triumph" on two antique wagons in the company of the Virtues. The Duke wears his armor just like a leader, while he is crowned by a winged lady standing on a sphere, maybe she represents Victory. In front of him , the four cardinal virtues: Justice,with the scale and the sword, Prudence, looking in a mirror, Fortitude, with the column, and Temperance who gives us her back. The Duchess sits in a chariot pulled by two unicorns, symbols of chastity, to emphasize her pious and gentle soul. At her side, two ladies symbol of Chastity and Temperance, and in front of her, Charity with the pellican and Faith, dressed in red with the cup and the wafer in her hands. 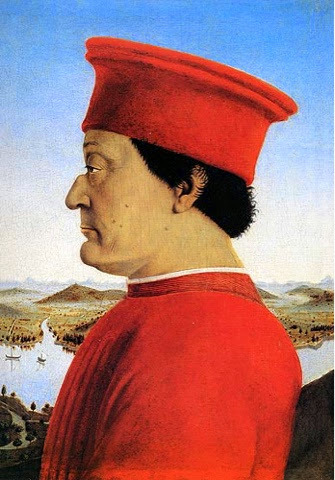 With his almost metaphysical style, Piero della Francesca represent perfectly the Renaissance man, aware of the centrality of his role in the universe and the importance of his intelligence and his culture. 2015 A year in the Art: Florence main art exhibitions. 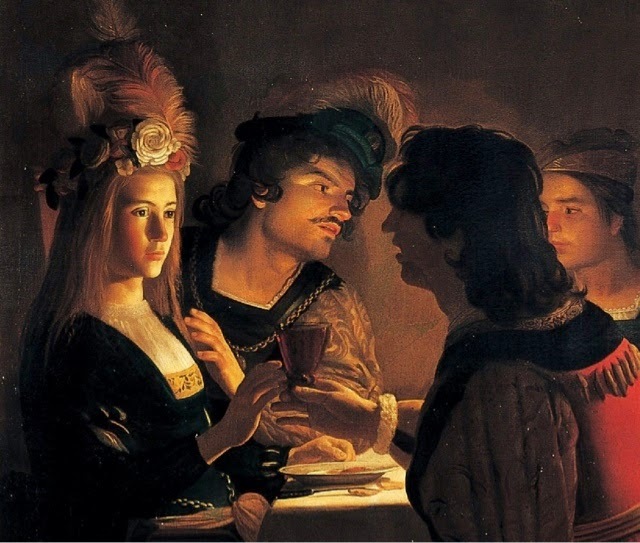 UFFIZI February 2nd -May 24th the exhibition is dedicated to the flemish painter Gerritt Hornthorst from Utrecht known as Gherardo delle Notti (Gherardo of the nights) for his ability to paint night scenes and his knowdgeable use of the light. 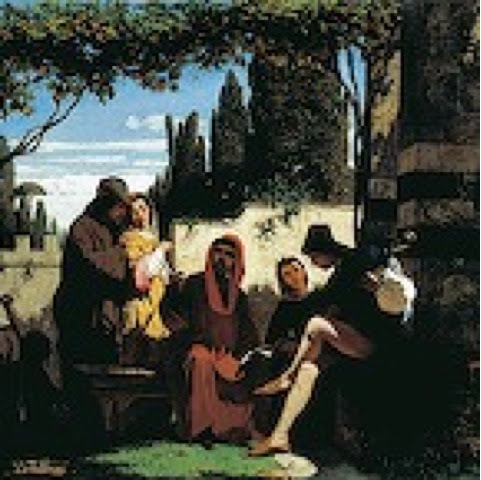 The title is "Gherardo delle Notti Quadri bizzarrissimi e cene allegre" (Gherardo delle Notti. Most bizarre paintings and merry suppers"). 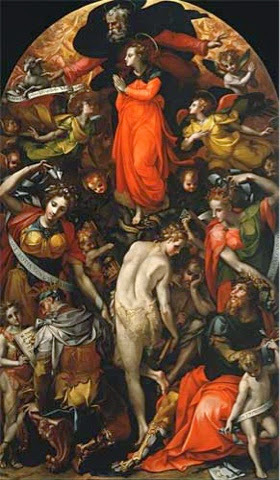 His presence in Florence at the beginning of the 1600 was incredibly and enthusiastically welcomed, especially by the greatest collectors, the Medici family, who purchased 4 big canvas by this artist. BARGELLO March 20th -June 21st in the occasion of the 150th year of Florence capital of Italy and the birth of the of Bargello as a museum, the exhibition will focus on the theme of the trip during the Middle Age both in the realistic and the fantastic notion. "The Middle age on the road". You will have the opportunity to appreciate everyday objects and records related to the theme of travelling of that period. from the 13th to the 15th centuries"
MUSEO DEGLI ARGENTI, Palazzo Pitti June 9th - Oct 11th the exhibition will be dedicated to the importance of the Lapis Lazuli, the precious intense blue stone frequently used in Florence for the realisation of the Florentine mosaics as well as the production of the amazing blue color which can be admired on frescoes and paintings since the Middle age through the Renaissance. "Lapis Lazuli. Blue Magic". 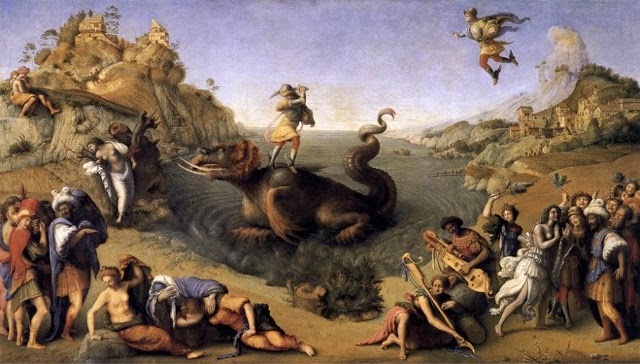 UFFIZI June 22nd-Sept 27th second exhibition at the Uffizi dedicated to Piero di Cosimo 1462-1522, Florentine eccentric painter from Renaissance to Mannerism"
PALATINE GALLERY, Palazzo Pitti June 30th-November 15th we'll get into the life of the Florentine court of 1600, led by the Medici Grand Duchess Vittoria della Rovere whose favourite painter was Carlo Dolci. 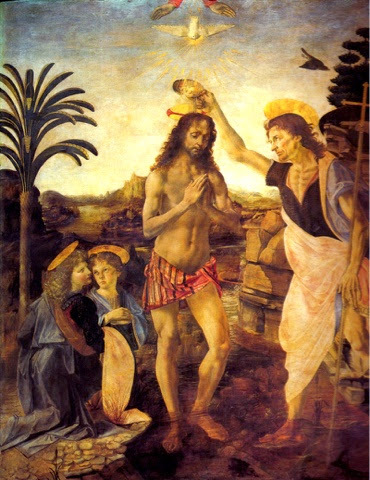 His beautiful and translucent painting reminds of the splendour of the Florentine mosaics. MODERN ART GALLERY Palazzo Pitti November 19th - April 3rd 2016 - celebration of the 150th year of Florence as the Capital of the newly united Italy: "Florence Capital 1865-2015. The king's gifts and collections". The exhibition will show principally the paintings and object purchased by the King of Italy during his stay at the Pitti palace. 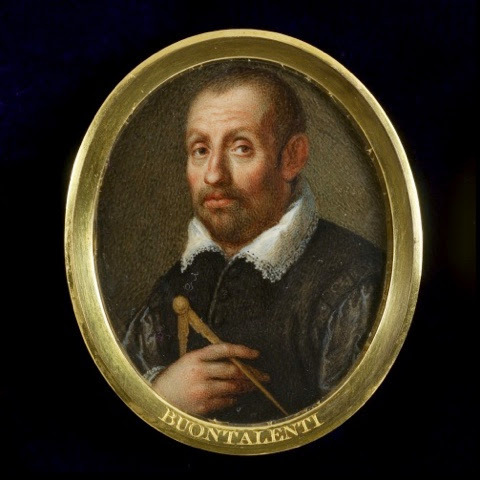 ACCADEMIA December 14 - April 16th an exhibition dedicated to Carlo Portelli "A painter of some worth" focus on a less famous artist of the 16th century and his refined and complicated search for elegance in his painting. Symbols in the arts have always fascinated me. Looking to paintings, frescoes and mosaics every day I discovered some of the secret meanings behind the animals represented. The animal appearing more often in the art is the bird. 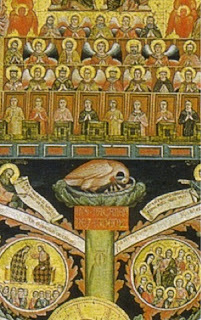 There are many different species of birds frescoed, painted on wooden panels and even sculpted. Let's discover what do they really represent and what do they usually refer to, in particular in Christian art in Florence. The dove in Christianity represents the Holy Spirit, as well as the concepts of pureness and peace, given its white color and its quiet temperament. 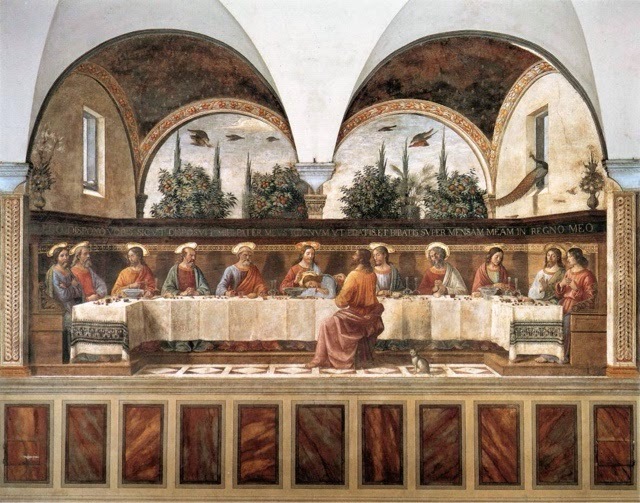 Masaccio, Holy Trinity 1426-28, (particular of the dove) fresco in the Church of Santa Maria Novella, Florence. This animal is mentioned many times in the Bible. The first time is in the Genesis, when Noah sent a dove out of the arch to see if the situation outside. 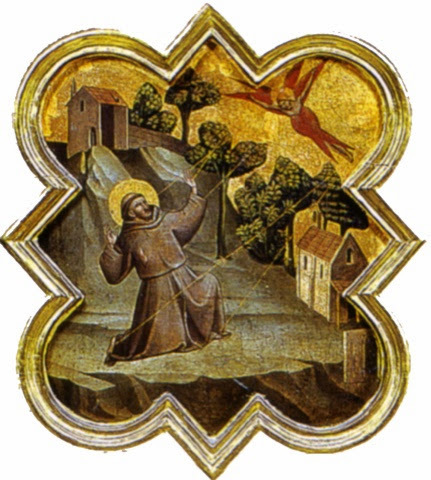 The dove came back with a branch of an olive tree and he understood that the water was retreated. For this reason the dove has been interpreted as the symbol of peace between God and Mankind after the Great Flood. The dove is the quietest and mildest of the birds, it is fast and reassuring so it can be considered a perfect messenger of peace. Another important episode of the life of Jesus where the dove appears is in the occasion of his baptism. 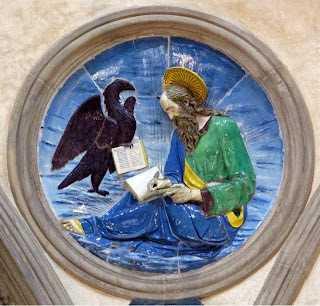 The Evangelists John and Matthew both writing about the Baptism of Christ describe the holy spirit under the shapes of a holy dove descending on his head. 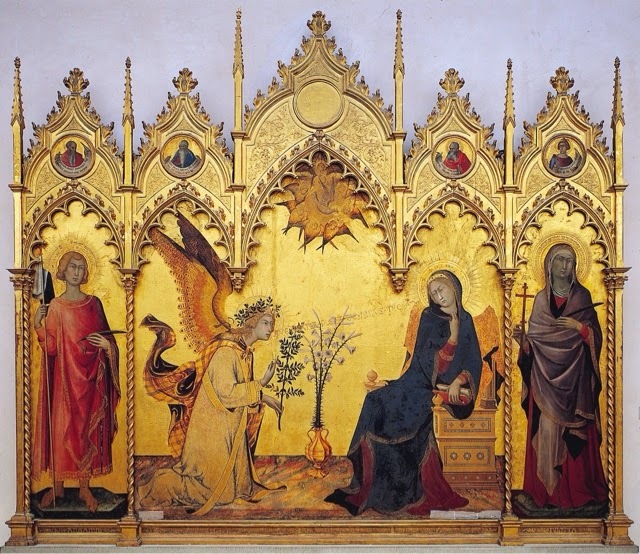 The third significant episode is the Announciation, a key topic in Christian art in general and in Marian art. This is the celebration of the announcement by the Angel Gabriel to the Virgin Mary that she would conceive and become the mother of Jesus, the son of God, through the incarnation of the Holy spirit. Also in this particular subject, the holy dove represents the holy spirit, often painted above the head of the Virgin or in between the kneeling angel Gabriel and Mary. The eagle is the king of the birds, it can fly higher than any other birds, its eyes can look directly into the sun. Its ability to fly high is a metaphor of spiritual elevation, also this bird usually brings its children high to teach them how to fly, another metaphor of Christ as a leader to the human souls to God. Its sense of view is considered a sign of wisdom and smartness, and its ability to kill snakes often simbolizes the victory of good against the evil. The Eagle is in the arts the symbol of Saint John the Evangelist, maybe because he is the one amongst the four, who had the most spiritual experience in writing his gospel. This bird is ofter represented on the top of Middle Age crucifixes. This is a wird image to be connected with this dramatic subject and the meaning is one of the most interesting and complicated. As many times happens, everything starts with an ancient legend, telling that children of this kind of bird looked very weak, almost like dead. The "father" of the small birds came back at the nest and felt guilty for his children, teared his chest with his beak and spread the blood on his children. At this point the legend says that the small birds came back to life. 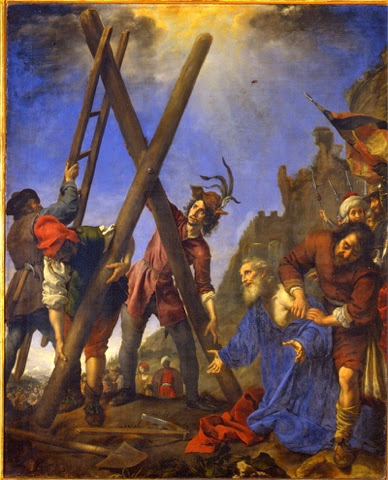 This story is interpreted as a metaphor of the sacrifice of Christ for humanity. He also spread his blood to save Mankind. Pacino di Buonaguida, The tree of life, 1305-10, Accademia, Florence. 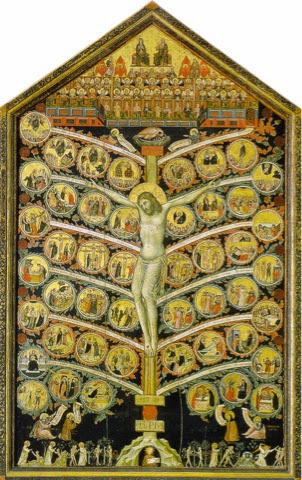 Pacino di Buonaguida, The tree of life, (particular of the pellican on the top of the tree) 1305-10, Accademia, Florence. This is considered since Antiquity the most beautiful bird. Its colored feathers and the"wheel" that it makes with its tale surely made him the most elegant and magnificent of the birds. Its meat was considered healthy and able to heal ill people. An old popular legend says that its blood would have chased the devil. This is the reason why the peakok is sometimes in Betlem grotto in the paintings representing the nativity of Jesus. 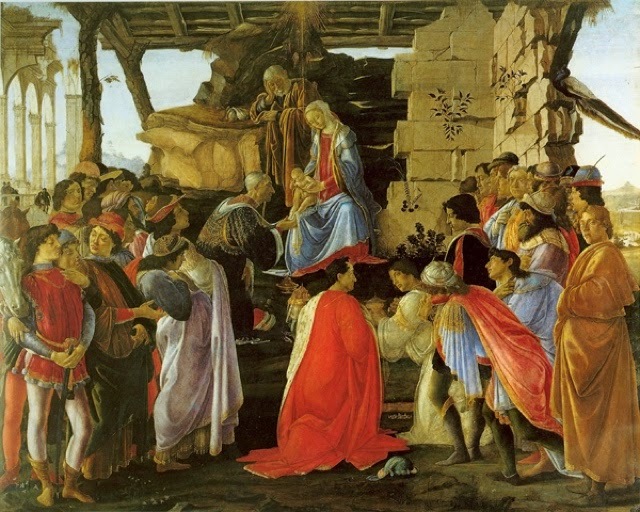 Sandro Botticelli, The Adoration of the Magi, 1475, Uffizi Gallery, Florence. The peacock is on the wall on the extreme right. 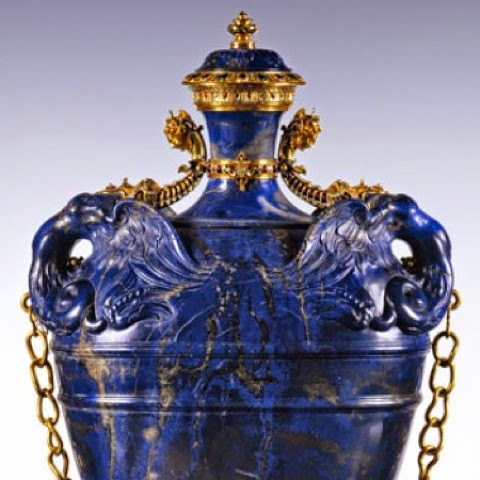 The peacock is also considered the symbol of incorruptibility. Its ability to change and renew its colored feather is a symbol of resurrection and renewal, this is why this animal is often represented in the Last supper frescoes. 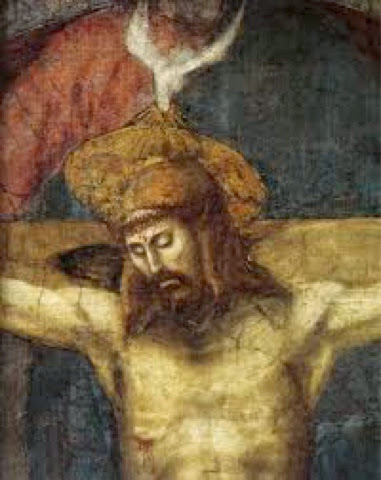 The goldfinch with its red head, is often associated with the passion of Christ, and many times Baby Jesus himself holds in his hand this bird as to anticipate his future crucifixion. Sometimes this is also represented in the classic portraits of Mary and the Baby. 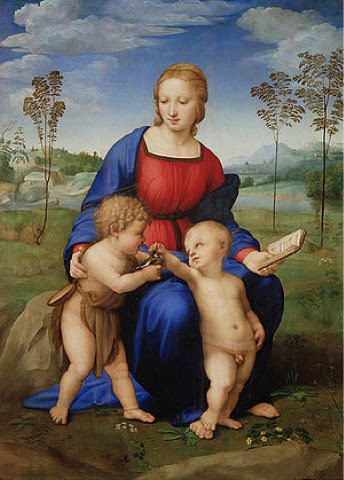 Raphael, Mary of the goldfinch, 1506, Uffizi gallery, Florence. This animal is again the subject of an ancient legend which says that during crucifixion it tried to free Jesus from the thornes crown and during this attempt his blood colored his head of red. For this reasons it often appears in religious paintings. Such a nice surprise to find a fish "Fiaschetteria " in Florence! 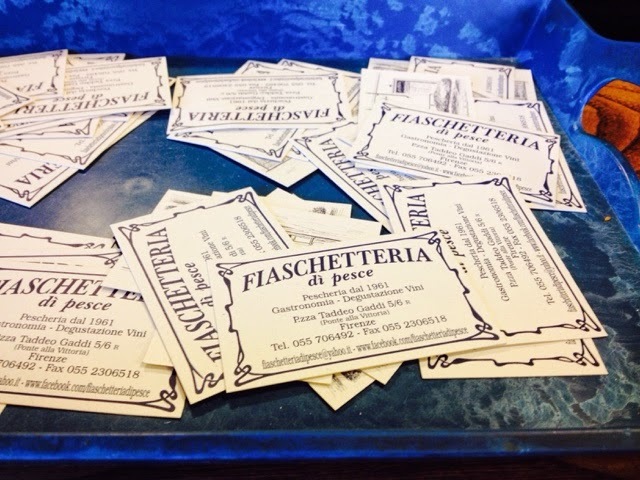 The word "Fiaschetteria" once meant the place where wine was sold, in bottles or just as in today's bar, by the glass. It is thus a very informal and popular place, often with wooden tables and with paper on it. 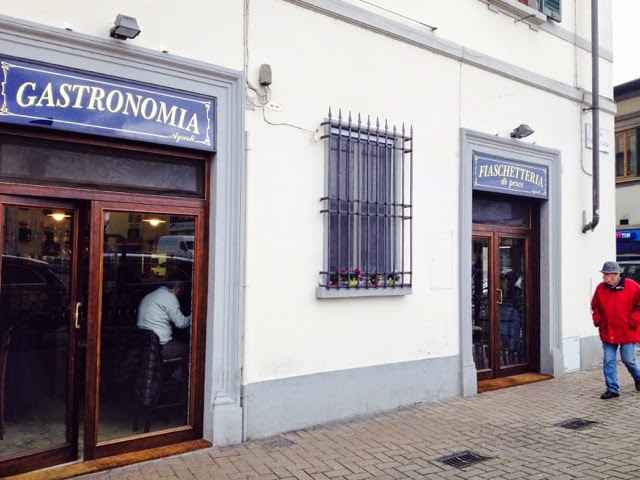 Now Fiaschetterie, as well as Trattorie, are considered as informal restaurants, often open just for lunch. At the Fiaschetteria dí pesce, fish is the main ingredient: row shrimps, oisters, tuna tartare...as well as a fist pasta courses, or traditional Tuscan dishes as cacciucco, fish soups, fish salads and much more! 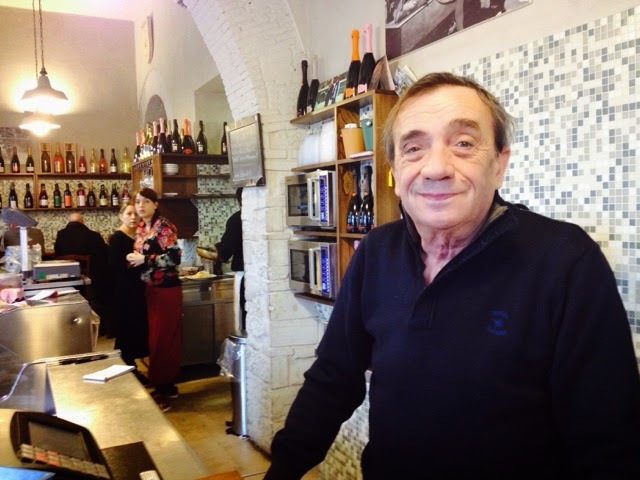 Very informal atmosphere, partly a fish shop, partly a trattoria, where you can choose the fish from the window of the counter, amazing quality and selection! 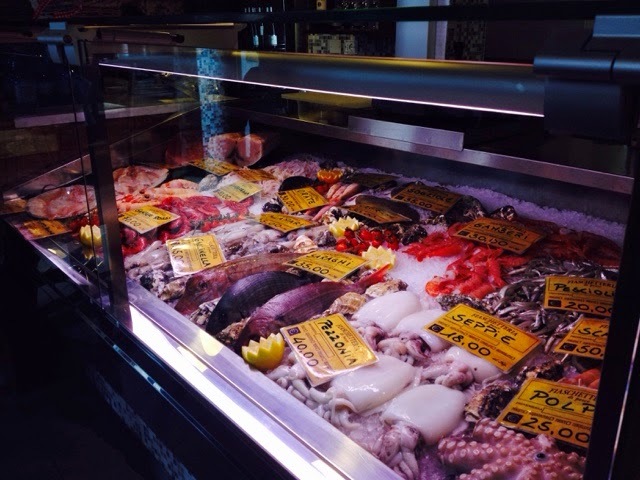 And the location is also perfect, in Piazza della Vittoria, at the exit of the Superstrada Firenze-Pisa-Livorno, the highway connecting Florence to the nearest spot of the Tuscan coast, Livorno, directly on the Tirrenian Sea, where the fish comes from! I wanted to make a picture of my dish but it made me so hungry and I did not have the time...sorry! Book your tour in Florence NOW! Tema Viaggi. Immagini dei temi di LordRunar. Powered by Blogger.